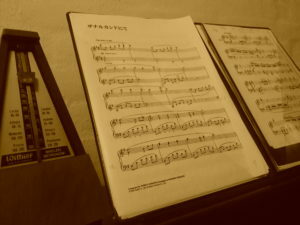 My name is Leon W. I´m a pianist who played for 6 years, not that long I know. But hey!… Thank you for checking out my site, I hope you find this site helpful and enjoyable. I mostly focus on all the different styles and methods to create this beautiful piano sound and how you can help yourself to be more productive and efficient! I started to play the piano because I respected the people who could maintain practice every day and achieve what they want. I wanted that myself and started some different creative tasks: I started with writing some stories and tried other things like painting, producing, programming and much more. But in the end, I got stuck with the piano because I love the concept of it. I’m probably going to write about it later, so maybe you can find a post about it. If you have anything you want to know about the Piano and everything around it, send me a message (PianoPanel@gmail.com) and let me know! I’m going to research it and maybe write about it! You are welcome!